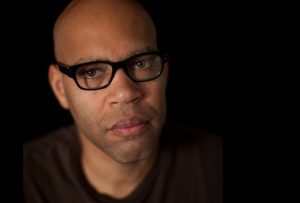 This program, curated for Big Ears from Everson’s large body of work (more than 100 shorts and features), reveals his interest in digging beneath the surface, in every sense of the word. Kevin Jerome Everson is a Professor of Art at the University of Virginia and a recipient of the Alpert Award in Film/Video as well as numerous grants, commissions, and fellowships. His work has screened at major American and international film festivals and been exhibited at museums, galleries and art biennials, including, most recently, selection in the 2017 Whitney Biennial. A retrospective at the Tate Modern, London is planned for fall 2017. An attempt to exhibit the “sweet science” in an elegant way. A glance at the fancy moves by the Mansfield Senior High football team in Mansfield, Ohio. Famous actor Nathaniel Jitahadi Taylor, who played the role of “Rollo Larson” on the 70’s television series Sanford and Son, waxes poetically on dancers, painters, actors, and filmmakers. The material that keeps southern homes warm in the winter months and cool in the summer. Preparing a surface for re-representation. A multiple exposure of multitasking. Two gentlemen making a living hustling metal in Cleveland, Ohio. During an Ears, Nose and Throat examination Shadeena Brooks recounts a horrible event she eye-witnessed. Winner, Grand Prize, Ken Burns Award Best of Festival, Ann Arbor Film Festival 2016; Best International Short, Hamburg Shorts Film Festival 2016.